paramedic – MedFlight "Touching Base"
"TOUCHING BASE": A Blog by MedFlight. “My first encounter with Shawn Baker was at Doctors Hospital Nelsonville, where we had a couple of rooms as temporary housing until our Mobile ICU base was built there in Nelsonville. He came walking down the hall, bigger than life, and said “Hi, I’m Shawn.” A firm handshake began our years working together as a team representing MedFlight in the area. Funny… but you get to know a lot about a person when you work side-by-side with them in life and death situations, and especially at 2am in the back of a long-distance roadtrip in a Mobile ICU. “Shawn Baker was destined to be a paramedic from a very early age. I first met him when he was around 8 years old when he would accompany his father, Larry, to EMT courses his father would teach. Shawn would sit quietly… taking in the wisdom his father instilled in the students and him. The knowledge and wisdom his father passed onto Shawn was very evident in the type of Medic Shawn would become. He was passionate, hardworking and gentle. His knowledge and skills were superb. As important as Shawn’s ability as a paramedic was his ability to get along with his co-workers and others in healthcare, EMS and public safety. He was legendary. There was never an encounter with Shawn that didn’t make an impression on someone. He had a wonderful sense of humor and an incredible ability to deliver a punch line like a professional comedian. “I first met Shawn Baker when he was in medic school. I taught one day and was talking about taking care of patients, and that sometimes, all you have to do is hold their hand. Many of his class mates thought this was funny, after all… they were learning all of these new interventions and “holding someone’s hand” is “just ridiculous”. Shawn approached me during a break and said, “Hey, I like that idea.” but made me promise that I wouldn’t let his class mates and friends from Meigs County know. The next time I interacted with Shawn was teaching BTLS to that same class. I had locked my keys in my truck and was a little late to the class. He and his class mates harassed me about being late, and when I told them that my keys were locked in my truck, Shawn offered to break in and get my keys. I said, “If you can do that and not break a window, please do.” He countered, “I’ll have to steal your radio if I do.” I laughed. At the next break, he brought me my keys. We all laughed. When I went to leave, I got in the truck and looked to see if my radio was gone. It was there, however, the knobs were missing. I looked around and saw Shawn sitting in his truck laughing. He returned the knobs. I had fun proctoring him during his field clinicals but lost track of him when he finished medic school. It wasn’t until he joined MedFlight that our paths crossed again. Every time I would run into him, he was always laughing to telling a story which would leave people in stitches. One day I walked into MedFlight 3 and Shawn was there… I was surprised and happy to see and hear he was transitioning to the helicopter division at MedFlight. That was his first day, and what a day it was. Our last conversation was Shawn trying to convince me that he should be MedFlight 3’s “spiritual advisor”… He thought that it was an impressive title and “would look good on a business card without a whole lot of heavy lifting”. I told him that if we, crew at MedFlight 3, had to use him as a spiritual barometer, then we would be in trouble. Later the next day, when driving home, I thought about our conversation… he could be our leader, as he was honest, would help anyone, and was an awesome human being. “The quality I admired most about Shawn Baker was his ability to make everyone feel like an old friend. I met Shawn when I started as a new Flight Nurse in orientation January of 2005 in Wellston, at MedFlight 3. Shawn made me feel very welcome, and I knew instantly that we were going to be friends. As a new flight nurse with very limited EMS experience, I confided to Shawn that I was very nervous about going to scene flights, and I warned him that my hands shook something awful. He encouraged me and told me that I would gain confidence and that the shaky hands would eventually go away, and then he mischievously grinned and said, “I’m just glad you aren’t a surgeon!” That was Shawn… he just had a way with making people laugh and feel comfortable. On the other hand, Shawn could be serious too, especially when it came to EMS. One thing I remember him telling me that day was that it didn’t matter if my hands shook. He said, “People know if you care or not, and that’s all that matters to them”. EMS was a passion of Shawn’s… He basically grew up with it. His father, Larry, was also a Paramedic and he was also very involved in his community. He told me that one year for Christmas as a little boy, his dad gave him his he first First Aid kit. As the years went by, Shawn and I worked a lot together and he became more like a brother to me. I met and knew his wife, Tina and his mother, Phyllis. You could always tell that Shawn was just the apple of his mom’s eye. Shawn’s father died suddenly (Also of an MI) several years before I met him and since his death, his mom relied on Shawn greatly. I admired the fact that Shawn was such a devoted son and husband. The last shift we worked together was on October 12, 2010, we actually talked about both of our fathers that day because it would have been my father’s 77th birthday. It was a beautiful day and, like always, we had a great shift. We had 2 scene flights to Meigs County that day and Shawn couldn’t have been happier. He was leaving for a Fall camping trip the next day with some good friends of his and he was really looking forward to it. When we left after that shift, I told him that I would see him on the 20th because I would be coming on when he was going off duty that day. Little did I know that that would be the last time I would see my dear friend. In our profession, we all know how quickly life can change or even end. It becomes all too real when it happens to someone you care about , especially at age 42. Shawn was an extraordinary individual that I feel blessed to have known in my life. He had a genuine love for life, his family, being a Flight Paramedic, and helping people on their worst day. “Three Souls” – Bev Meade, MSN, RN, MHA, CEN, CCRN, CFRN, CTRN, TCRN, EMT-P. Flight Nurse, MedFlight 3. Our pilot completed his safety checklist and risk assessment, and contacted our Columbus, Ohio, Communications Center with the first radio traffic of the morning: “MedComm, this is MedFlight 3. We have 3 souls, 1 hour 30 minutes in fuel, 8 minute ETA.”. This radio transmission is always given before we lift from our helipad to begin our mission. The response was as expected from our experienced Communication Specialists watching over all of us… they monitor us flying and driving our patients “to and fro” for this company. They acknowledged us with “Copy MedFlight 3… 3 souls, 1 hour 30 minutes in fuel, 8 minute ETA”, and we lifted into the cool, pre-dawn calm with our Night Vision Goggles (NVG’s) down and activated. Our mission was to transport a patient with an ST -elevation myocardial infarction (STEMI) from a rural area in Ohio to the closest cardiac interventional facility… rapidly, efficiently, and safely. As we landed at the remote landing zone (LZ), we did as we were taught and as we have done hundreds of times on landing… We focused our attention outside diligently, looking through and around the NVG’s for hazards that could mean disaster for the “three souls” on board. Safety is and has always been a top priority for my company, and I am thankful that we are recognized as one of the most safety-conscious critical-care transport organizations in the state. We communicated succinctly with the local fire department at the LZ, and were acutely aware that our safe landing could mean the difference between life and death for our patient, whom we have yet to meet, and, of course, for us as well. Even though the “three souls” on board have thousands of safe arrivals, each landing and takeoff still makes me alert, tensed, & ever-vigilant for the unseen hazards that we all know are out there. “MedComm, MedFlight 3. We’re ‘skids down’ safely” is what we all wanted to hear, and that is exactly what transpired. As usual, I thanked my pilot for a safe landing and waited until the blades came to a complete stop before exiting the aircraft to retrieve the necessary equipment, supplies, and of course… my paramedic! As we walked to the waiting EMS vehicle, I contemplated what we might find, what might need to be done quickly, and what a difference we can make in this person’s life. After assessing and placing appropriate monitoring equipment on our patient, we departed the EMS vehicle in under 7 minutes to rapidly load & secure our patient for the lifesaving transport he desperately needed. Our pilot once more pierced the airwaves with “MedComm, MedFlight 3. Lifting from scene with 4 souls, 1 hour 20 minutes in fuel, 30 minute ETA” and we departed the rural hills of Ohio for the center of the state, where critical interventions awaited this patient. After arriving at the receiving hospital and transporting the patient to the cardiac catherization lab, we became “3 souls” again… the team of 3 who answer the call of duty, who respond without hesitation to help the sick and injured, whose life’s work and studies have led each soul to this place, at this time. And I know that there are others just like us at MedFlight around the nation that are awake at 0200, answering the incoming radio or telephone call, responding just as quickly and safely to save the life of another soul. The mission was completed, the cardiac vessel reopened, and the patient was recovering to resume his life in southeastern Ohio. As each of the “three souls” completed the post-flight tasks, readying the aircraft for the flight home… me completing the patient care chart and sending it to the receiving facility, the medic restocking the aircraft for another mission if needed, and our pilot refueling for the flight home or to another destination as needed… I paused for a moment to consider what we had just accomplished. All of us played a part in the outcome of this patient: Family, EMS, our Communication Center, all of our ancillary personnel, the flight crew, and receiving facility… Each entity relying on the other to do their jobs and save a life. As we were enroute to our base, I considered the new day dawning as the sunrise peaked above the hills of southeastern Ohio where I call home. I announced “goggles up”, and I contemplated how each of us have a pivotal role in this mission. I am still in awe after 20 years serving others in critical-care transport how all of this happens almost seamlessly to improve the outcome of our patients. But, perhaps, more importantly… I looked to the right toward my medic, and in front of me to my pilot, and I am thankful that each one of the “three souls” are where they are supposed to be, doing what they are supposed to do, and that each of us bear the burden of safety and excellent patient care and quality transport so that we can hear once more “MedComm, MedFlight 3 is safe on deck with three souls” as we land at our helipad… Mission accomplished. Why A Nurse/Medic Crew Configuration? Since the inception of air medical transport in the early 1970’s, the “ideal” crew composition has been the subject of much discussion. There has been a variety of team types: RN/MD, RN/RN, RN/Medic, RN/RRT, etc. While each type of crew configuration offers many theoretical benefits, there is little scientific research to support any specific mix of medical crew members. Most air medical programs in the United States operate with a RN/Medic crew. MedFlight believes that critical care nurses and paramedics can be trained in skill performance to the level of a physician. In addition to conducting ongoing quality reviews of the procedures performed by our crews, an annual competency program, and continuing education to enhance clinical skills, each MedFlight transport is supervised by an identified Medical Control Physician who is immediately available to the crew and who provides input regarding the care of the patient. Each MCP has specialty training in adult emergency medicine, pediatrics, neonatology or high-risk obstetrical care, depending on the patient’s condition. Mobile ICU and Flight Teams also maintain several clinical certifications above and beyond their RN and Paramedic licensures. The RN/Medic crew configuration offers the most cost-effective method of medical care delivery in the critical care transport environment. MedFlight is committed to providing the highest level of care for the lowest cost to patients, receiving hospitals, and third-party payors. We’re proud of the quality work and dedication our clinical crews produce daily. There are decades of experience at each MedFlight base. 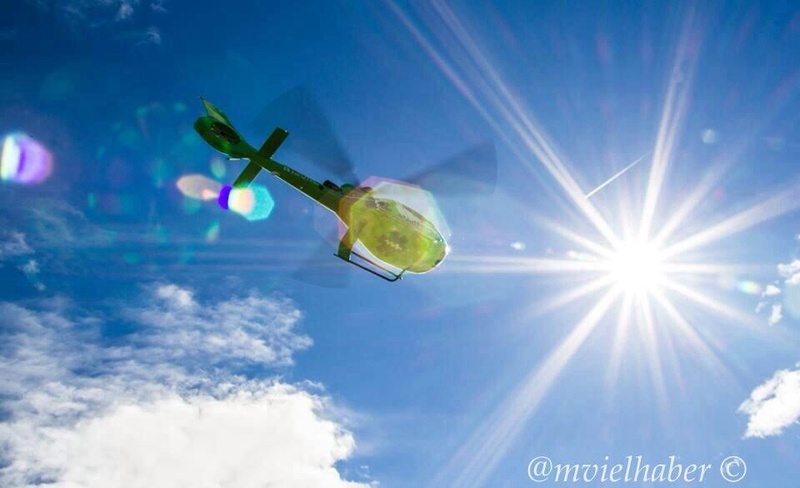 If you have additional questions regarding MedFlight and our capabilities, please visit our website or on social: @MedFlightOhio. Partners for Life. “It was 20 years ago today that I started as a Mobile ICU paramedic for MedFlight…they had just acquired the Riverside Methodist Hospital Critical Care Transport team where I had previously worked. On October 20th, 1996, my last shift at Riverside, we were asked to bring the Mobile ICU vehicles to MedFlight as our final task. I remember MedFlight leadership standing at the hangar door, welcoming us to MedFlight. I think all of us were excited about this new chapter in our careers. What a great resource our critical-care Mobile ICU teams have been for Ohio patients. This excellent division of MedFlight doesn’t get the limelight it deserves, but, without it, MedFlight would not be who we are today. To all of our partners that have served and continue to serve on the Mobile ICU teams…. THANK YOU. And congratulations on 20 great years of service. Welcome to the MedFlightOhio Blog! It’s a new year! We’re excited to start this venture to compliment our online presence, and we hope you like our new blog! It’s going to be a great way to go into more detail about projects we have going on, happenings with us around the state, and much, much more. This industry is 24/7 and things happen and change fast. What better way than a blog to keep you in-the-loop with MedFlight. So sit back and enjoy, and let us know what you think! Partners for Life.